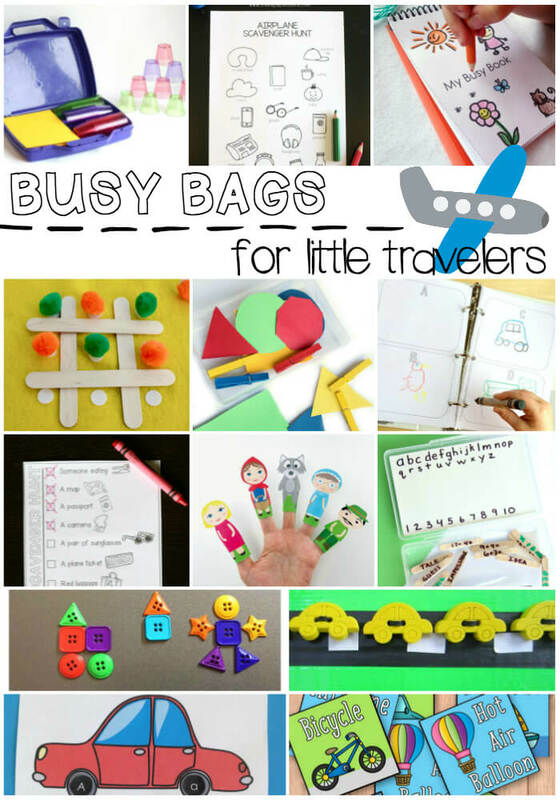 Are you travelling this Summer with little ones? Do you need to occupy your children on a long car journey? Then we have just the thing. We have teamed up with bloggers from around the world to bring you a Little Travellers Busy Bag Blog Hop. During a car journey my family like to play ‘The Yellow Car Game’. The rules are simple – the person who spots a yellow car and shouts “yellow car!” first wins a point. Despite the rules being simple you would not believe the heated discussions this game can create! “I said it first”, “parked yellow cars don’t count”, “that isn’t a car it is a van”, “that isn’t a yellow car it’s an ambulance.” However, the most frequent ‘argument’ is about the current score. Over long journeys it is easy to lose count. So I created the Yellow Car Game Busy Bag to help us. Making the Yellow Car Game Busy Bag board was simple. I cut a piece of cardboard to fit inside our yellow Minion Wash Bag and covered one side with Green Duck Tape . I then added four strips of black electrical tape to create four roads and cut thin strips of white sticky labels to make the road markings. Using thick black cotton and a needle I threaded five Yellow Car Buttons for each road. On the reverse of the board the cotton ends were secured with electrical tape and then the rest of the cardboard was covered with green Duck Tape. There are two ways our Yellow Car Game Busy Bag can be used. The board can be used to keep count of one persons Yellow Car Game score. Each time they see a yellow car they move the yellow car button across the board to the other side. At the end of the journey you add up the cars on the right hand side to find that persons score. A great activity to develop fine motor skills and counting too. Use the board to keep tally of everyones Yellow Car Game score. Each road represents one persons tally and a yellow car button is moved across when they spot a yellow car first. If you are on a long journey the buttons can represent five or ten yellow cars spotted. Fingers crossed our Yellow Car Game Busy Bag will stop a few of the heated discussions on our next long car journey! My boys love counting things when we’re driving around town. We’ll definitely be playing the Yellow Car Game this week. Thank you! What a great idea, I love this. I must remember to try it on our next long journey.